Modern western mortuary practices are characterized by the professionalization of the management and presentation of the corpse. These practices serve as a stark contrast to those in traditional societies across the world and those throughout history. Changes to how we treat and dispose of the dead are such that industrialized societies have become outliers on the spectrum of the world’s cultures. Modernity has afforded us with a more efficient system for handling the dead, yet research suggests that these alterations may be negatively impacting long-term grief outcomes. One way that modern practices influence grief is that they remove cues of death. Today, bereaved individuals in developed nations rarely participate in the ritualized preparation of the corpse, and, indeed, have minimal exposure to cues of death of any sort. Death specialists, such as mortuary cosmetologists and morticians, now wash, dress, and embalm the dead, amongst other invasive procedures. They have replaced many traditional rituals of handling of the dead person by family and other community members. As a result, most people do not have the opportunity to see or interact with their loved one in a natural state of death. Human relationships require huge investments and generate massive benefits, and we are not willing to let go of them unless we have unequivocal evidence that the person is dead. This is one reason why it is common for bereaved individuals who have not seen their loved-one’s corpses, such as death through tragedy, to demand to see the body or evidence that the person died and why the World Health Organization recommend it. Conversely, any suggestions that the person may still be alive weighs heavy on our minds. We typically use cues of agency and appearances to determine if a person is alive, or dead. If the person moves, or if they look like a living person, then we assume that he or she is alive. Oftentimes people comment that the dead person looks as though he or she were simply sleeping. Research from the evolutionary sciences suggests that this tendency to assume an agent is alive was once adaptive and is now instinctual. For instance, assuming that a predator was dead when it was in fact alive would have been detrimental to our survival, so as a general rule of thumb, people are more receptive to cues of life than cues of death. When this basic tendency is coupled with the motivation to want to continue the relationship with the dead person, it takes only minimal cues to convince us that the person is still around. Often there is a conflict between what the bereaved person consciously believes and how they reason momentarily, such as a widow thinking that the sound of footsteps on the stairs is her deceased husband. Many people now opt for a closed casket for their loved-ones, and even if they do see the corpse, it most often follows complex professional preparation of the corpse aimed at minimizing cues of death. The “disneyfication of death” is common practice, where the deceased are artificially manipulated to resemble their appearance during life. Often photographs depicting the person when they were alive are placed on top of the casket or with a funerary order of service. With the rise of social media, such as in memorandum Facebook pages enable the community to endlessly revisit the person when he or she was alive with the click of a mouse. In addition, researchers have shown that ritualization helps us to feel more in control of life events and they also provide us with an opportunity to receive social support from the community, which also has positive mental health benefits. Yet much of the ritualization involved in preparing the corpse for disposal has been given to professionals. It is now generally accepted in the clinical literature that long-term outcomes are better for those who view the body of a loved one, as doing so is thought to help people come to terms with the death. Naturalistic data suggests that even in traumatic circumstances, viewing the body of a loved one may increase anxiety and distress in the short term, but is associated with less distress in the longer term. Conversely, not seeing the body is associated with more difficult, prolonged grief. Health care professionals often observe that spending time both viewing and touching the body of a deceased loved one is conducive to better outcomes. Grief is one of the most intensely stressful experiences faced by humans and modern practices may be retarding the process. Featured image credit: Many modern Western corpses look more like sleeping beauty than a dead person. Woman, female, portrait and face HD by Alex Blăjan. CC0 public domain via Unsplash. Claire White-Kravette, PhD, is a research psychologist and the first cognitive science of religion appointment in a Religious Studies Department in the US. Her recent research focuses on the evolution of grief. 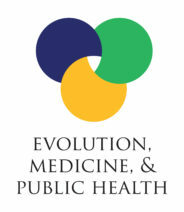 She recently published (with colleague Daniel Fessler, UCLA) “An Evolutionary Account of Vigilance in Grief” in Evolution, Medicine and Public Health. Please could you supply the references for the literature that you refer to in your article (that LT outcomes are better for those who view the body)?